Nazia Parveen, 23-year-old Rock Climber from Pakistan. 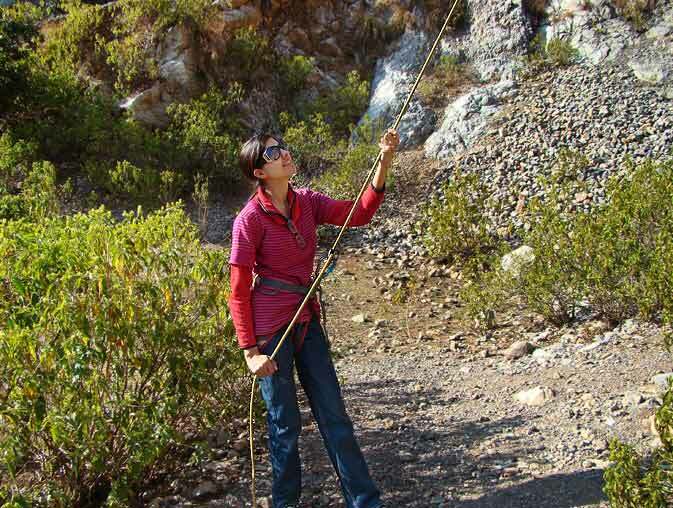 Parveen’s climbing career spans over a year only but her hard work, dedication and determination have led her beyond her competitors and climbing remains her top priority. Nazia Parveen is a student of Defence and Diplomatic Studies. 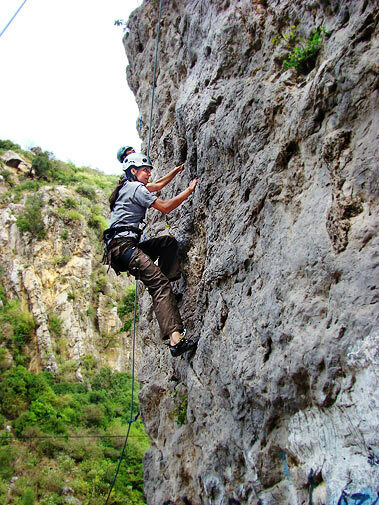 Nazia Parveen’s first experience with rock climbing came through a field trip. Just a year later, she is credited with setting various records in the sport and is looking forward with a mission to raise the profile of rock climbing in Pakistan. She never took climbing lessons or had any form of training before. 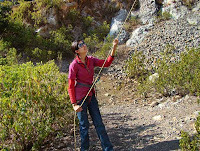 “My hostel took us on a field trip and there I had the opportunity to try out rock climbing. I instantly liked it very much and have been a regular climber ever since.”– little did she know that just after a year she would be the face of The Adventure Club Pakistan and a champion for females in a country which is ranked as the third most dangerous for women according to a Thomson Reuters Foundation poll. After starting climbing in March 2010, she won her first competition in October 2010 on an artificial rock wall. 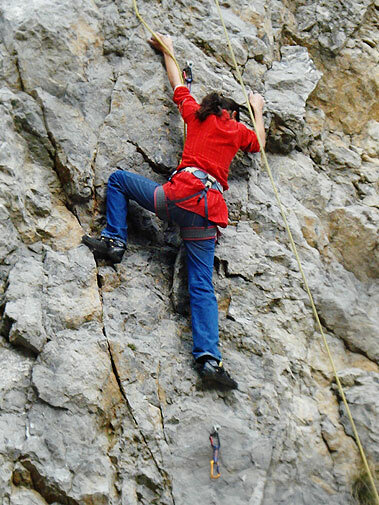 Just two months later, she won another wall climbing competition held on International Mountain Day. 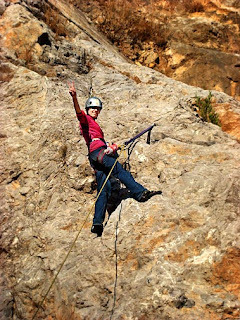 After participating in a competition on International Women’s Day in 2010, Parveen immediately realized that rock climbing was becoming her favorite past time and to learn it properly, she must join a proper club. 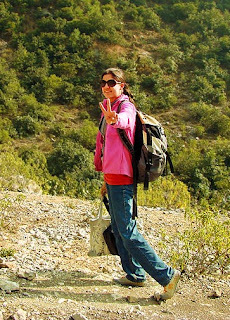 She became a member of The Adventure Club Pakistan and started focusing on regular training. More recently, in February, she participated in the Chenab Rock Climbing Competition and set a record by beating her competition by a lead that was twelve times greater. Incidentally, she also holds the record for climbing with the best time in a male/female category – the first time a female achieved this by defeating male competitors as well. In March 2011, she participated in the 5th Pakistan Open Climbing Competition which was an event at the national level. She won the competition and set a record in all female categories and repeated her unique feat of setting another record of best time in both the male and female categories. This was quite an achievement for Parveen as some of the participants in the competition had held various distinctions in the climbing circuit over the past years. 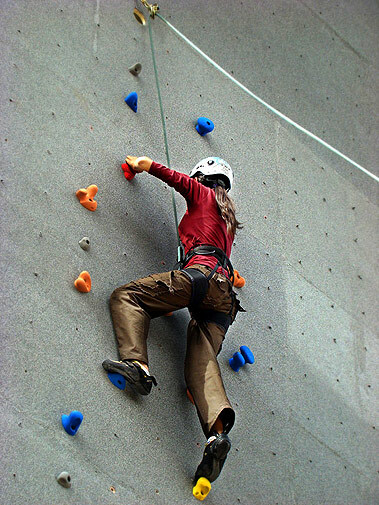 After winning five competitions in a row, she was made Junior Instructor for Rock Climbing of the Women’s Chapter at the Club so she could impart her experience to the beginners. The Club is now making arrangements for her and other members to get advanced training at national and international level. “After setting the few records that I have set, I no longer feel uncomfortable being a female rock climber”, said by Nazia Parveen. Other than rock climbing, she also takes an active interest in paragliding and is also undertaking training for that. Rock climbing should be included in the games listed by the Pakistan Sports Board and they should also try to arrange coaching camps and training programs for those who are interested. We expect that she will win more honors and distinctions for the country in the future. stumbled upon this web site. Studying this info So i am glad to show that I've an incredibly good uncanny feeling I came upon just what I needed. I most indubitably will make certain to don?t overlook this web site and provides it a look regularly.